It’s a question Winnipeggers have been asking their friends, family and co-workers for a decade and a half when awkward situations arise. But as of September 21, anyone who walked out of MTS Centre after the Jets handed the Columbus Blue Jackets a 6-1 loss would finally have a unanimous, legitimate answer for you. But the overall majority went with: Electric. From the moment the players began warming up to the Go Jets Go chants, that crowd was there for one reason an one reason only, to welcome back what they’ve missed for so long: Their Winnipeg Jets. 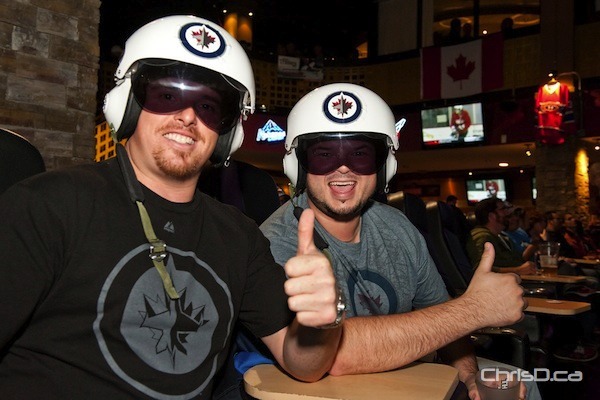 And not to dim their 6-1 trouncing at MTS Centre with gritty Byfuglien, sharp Andrew Ladd and Winnipegger Kevin Clark, but all of Winnipeg’s big guns were in their home rink. All the meanwhile Columbus beat the Jets 5-1 in Ohio as this was a split-squad evening. Everyone in Winnipeg has heard of Dustin Byfuglien by now, as he made unfortunate headlines in Minnesota when he was arrested for allegedly boating while intoxicated. However, the fans seemed to put that passed him as he hammered the Blue Jackets one by one in the first moment of the game, starting the fist fights not 40 seconds in to the Jets birth on ice. Electric? You can say that again. Winnipeg head coach Claude Noel told media after the game he was happy with what he saw on the ice, and that the atmosphere in the area sounded “like a Stanley Cup final”. Yet, this game meant nothing. It was merely a chance for development, for the players to show off to their coaches…a way of vying for a spot on the Jets roster all season long. But the sold-out crowd of 15,004 at MTS Centre didn’t care about that. 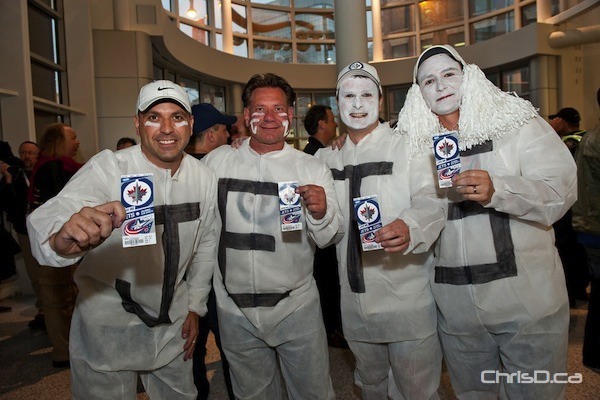 All they wanted was to see their Jets on ice. And perform they did. The hits, the goals, the chances, and the electricity was so intense, the former Atlanta Thrasher players must be thinking they’ve died and gone to hockey Heaven. Welcome to Winnipeg, boys. Enjoy the ride. It has only just begin.